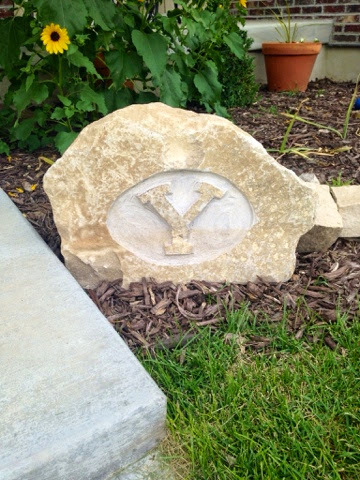 I married into an avid BYU Football family. I have come to love it & each football season has become a fun family tradition. I really love seeing our boys get so excited about it. The other day Tony went with his dad to a private BYU scrimmage. 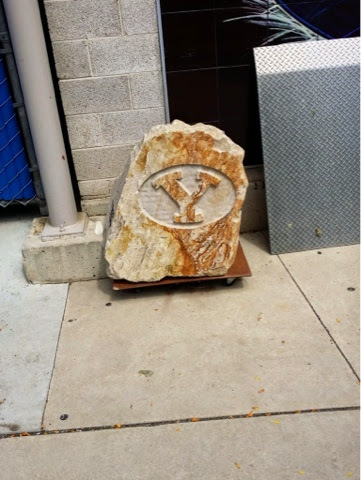 Somewhere along the way he saw this stone with the BYU logo carved into it. He showed me the picture when he got home & said, " I think I'll make one!" We happen to have some large boulders sitting in our driveway that we've been using to create a patio. So that same day, he took one & started carving one out with his dremmel. It turned out pretty cool! This type of thinking seems to be apparent to me lately. See, then go & do. Sometimes I find myself waiting or procrastinating. "I'll go visit a friend next week" or "I'll call that friend & check on them soon..." or "I'll follow that advice someday", when really life could be better if I just go & do. It doesn't take long to brighten someone's day. 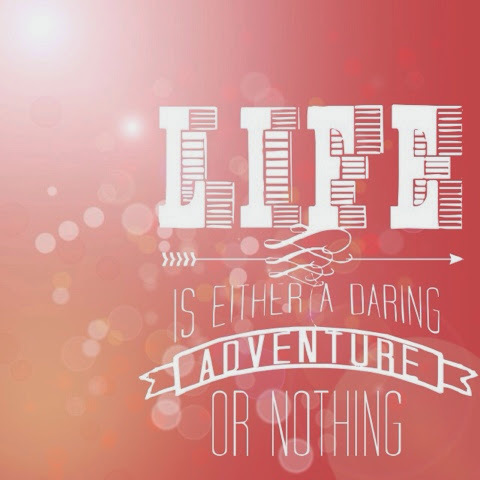 Today is the day to make it happen, whether it is creating something new or strengthening relationships...go & do! 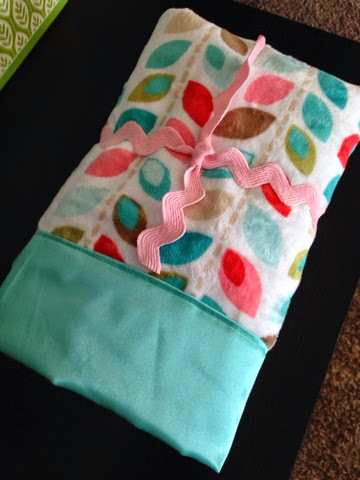 My sister Amy did an awesome tutorial on adorable minky & satin baby blankets. 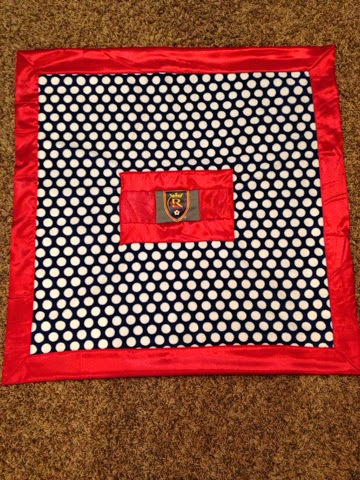 She made one for my daughter & she LOVES it! I feel like she's a little queen everyday she uses it. 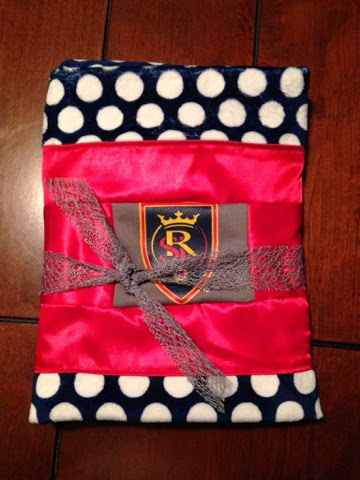 Some of our friends are about to have babies so I decided to make them some of these blankets. The first one was for a baby girl. I found this cute minky at the Fabric center in South Jordan (UT). 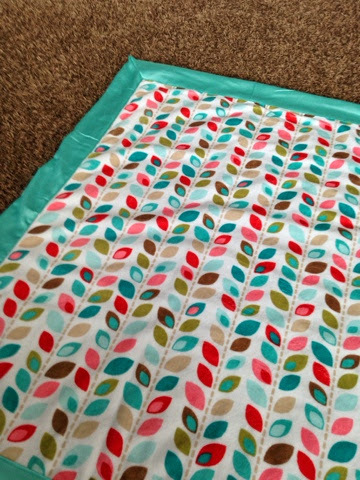 The fabric was already cut so it was half off! Yay!! I Love the Stain turquoise fabric. It has a flannel back so it stays in place better when you sew. 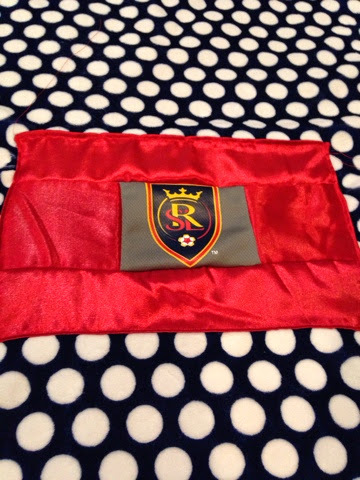 Our friends are huge Real Salt Lake fans so I searched for some fabric, which I now know they don't make :) so I hunted down a jersey & cut out the logo. I added a red border frame around it so it would stand out. One of the best things about these blankets is they are self-binding. It gives them a nice finished look & they are quick! 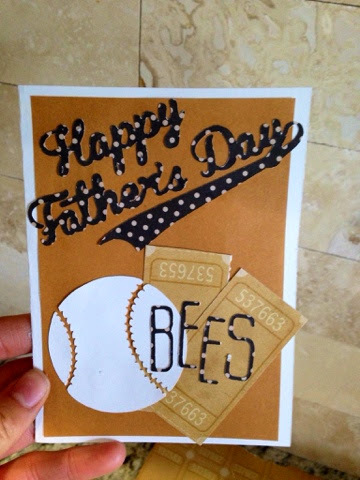 I never could have imagined what an amazing father Tony would be for our kids :) I feel so honored to be married to him & they are SO lucky to have him! Tony's dad has also had a profound influence in our lives & my kids are so blessed to have such an awesome grandpa! 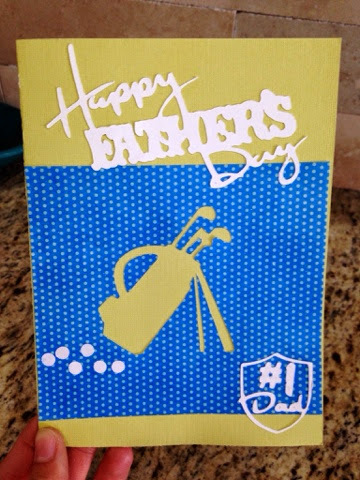 I hope you all have a great Father's Day!! 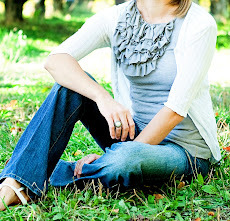 My sister Amy took some awesome pictures of our kids recently. I was so exciting to get them hung up! Tony was so sweet & made this picture frame for me for Mother's Day! About a year ago Tony stopped by a cabinet shop & asked if they some any leftover scraps. They gladly gave him a bunch of random free scraps. He has used them for a few projects. 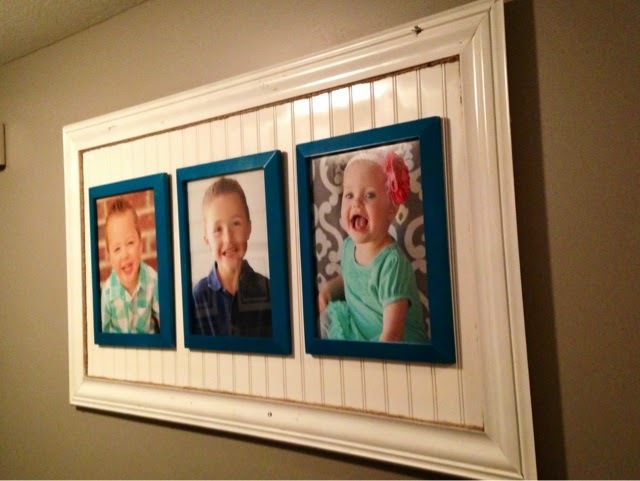 For this one, he cut random colored pieces of crown molding with his table saw to make the frame. Then he placed a panel of beadboard behind it. We spray painted the whole thing white. 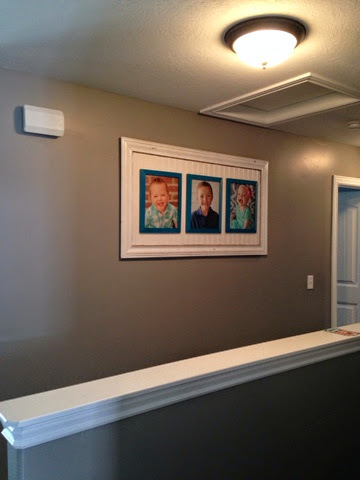 Then we bought the smaller picture frames from Walmart & spray painted them turquoise. 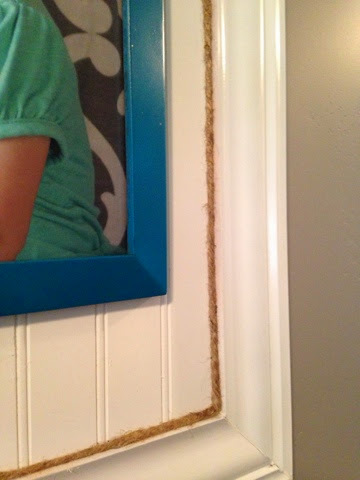 To finish, I hot glued some thick rope cord around the edges. Here's a quote I've been thinking about the last little while. 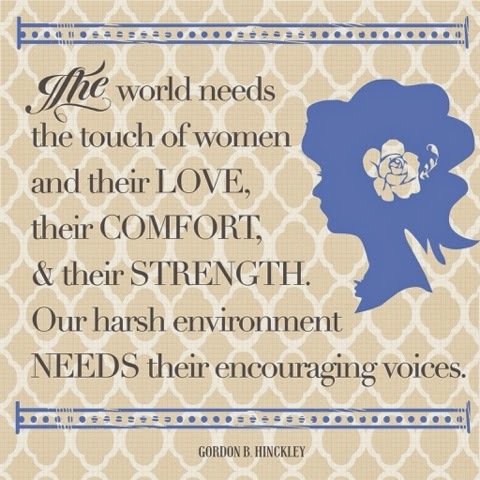 It's helped me keep perspective as a mom: "Heavenly Father taught you before you were born about the experiences you would have as you left Him and came to earth. You were taught that the way back home to Him would not be easy. He knew that it would be too hard for you to make the journey without help."